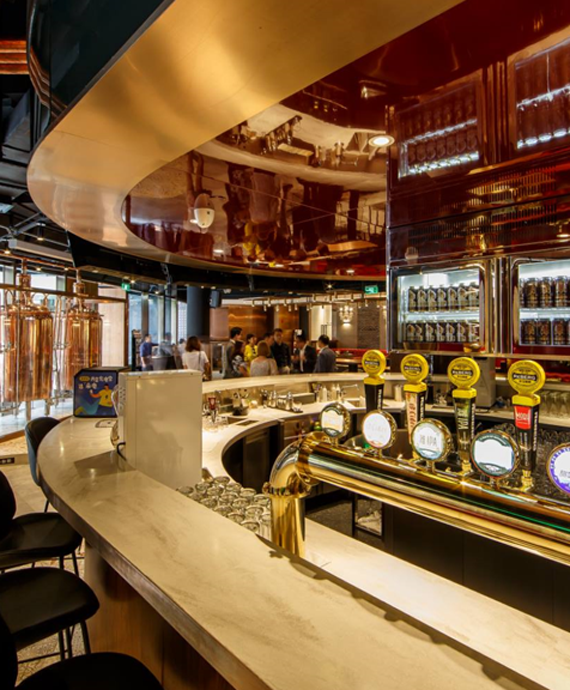 ATLAS Brewery is located on the ground floor of Agile International Plaza, and features both indoor and outdoor seating areas with a retro American-style ambience. 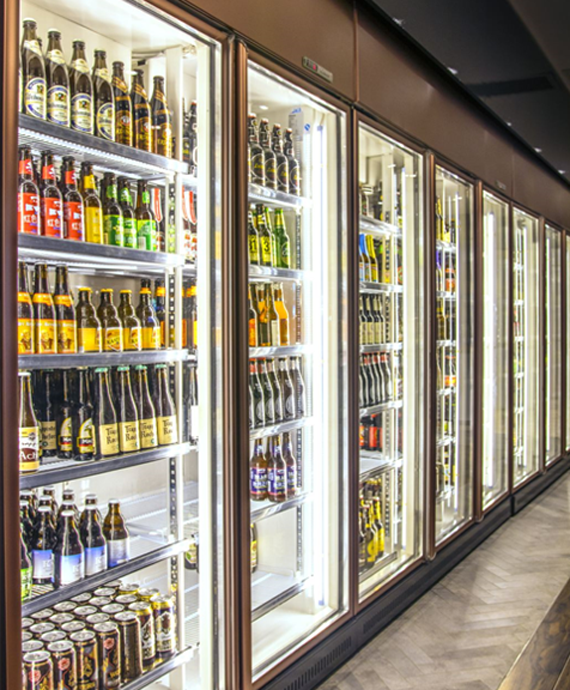 The drinks list in this craft beer bar and restaurant features over a hundred craft beers from around the world as well as our exclusive cocktails, allowing you to enjoy a huge variety of flavors in a single location. 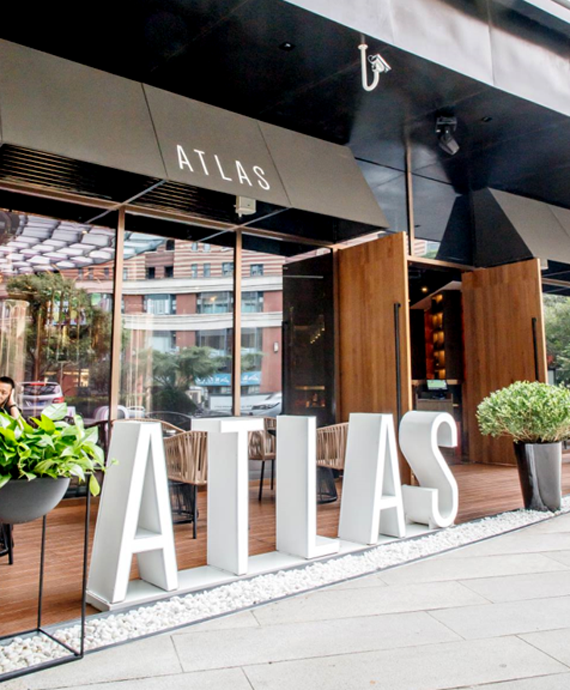 ATLAS Brewery also offers a range of first-class meals prepared from carefully selected local and imported ingredients. 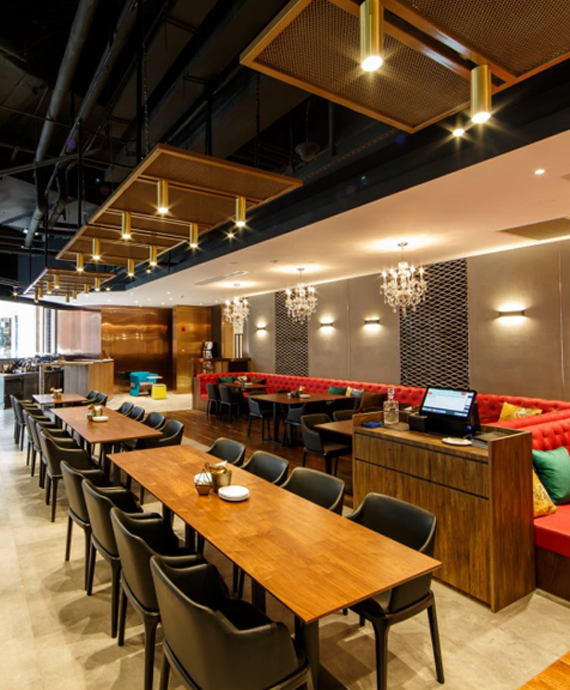 Our top chef has fused flavors from across the globe to produce creative cuisine that will please even the pickiest eater. 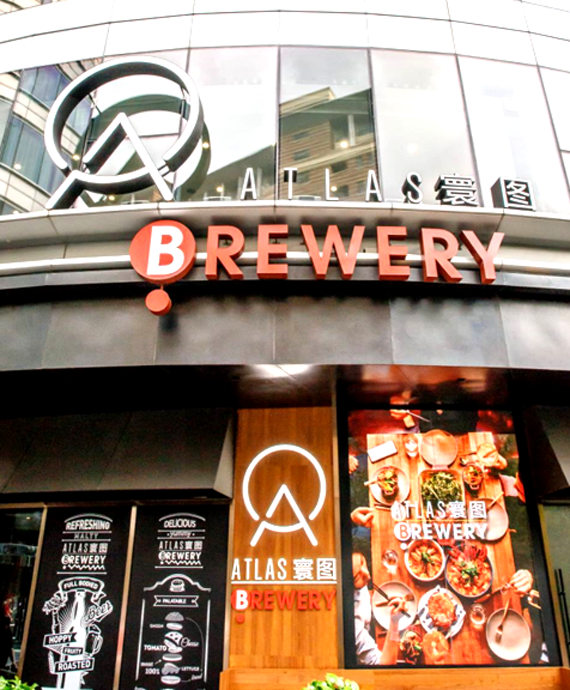 ATLAS Brewery’s craft beer range won a 2017 Chinese Craft Beer Award. Our dark lager features dense malt flavors presented with a crystal-clear coffee color and rich foam. 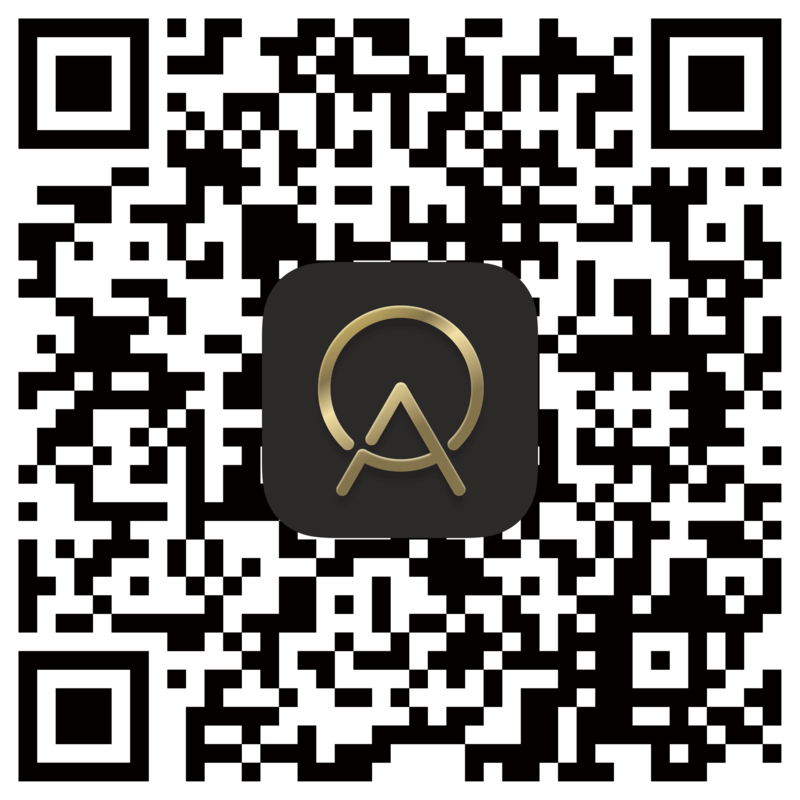 Share the refreshing taste with friends, and let your taste buds savor a new experience. The burger patties are made from imported Australian beef, topped with thick slices of cheese, crisp lettuce, tomatoes and gherkins. The initial flavor is sweet, rich and slightly salty, and the rich meat juices create a delightful texture. This burger is so fully-loaded that every mouthful is totally satisfying. Smooth linguini cooked al dente, combined with fresh jumbo prawns and topped with our exclusive, homemade spicy meat sauce. Our top chef carefully created this dish with a perfect balance between pasta and sauce to bringing out the rich flavors without losing the fresh sensation.